Shana looked up from her geometry. 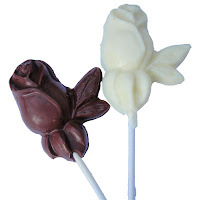 A chocolate rose sat on her desk along with a small white note. She scanned the room, making sure no one read over her shoulder. The student council officers walked up the aisle, passing out the secret messages to whomever had a friend or boyfriend eager enough to pay $5. Everyone’s eyes followed them, their own hopes and dreams resting on the white bucket full of chocolate roses. Carolyn giggled from two desks behind her. When would she quit this stunt? Taking the rose in her hand, she unfolded the message taped on. The sugar to my chocolate rose. Every night I lay awake and think of your gorgeous body. Carolyn’s giggle rumbled into a burst of laughter. Everyone in class looked over and she slapped her hand over her mouth and went back to her assignment. Shana sunk down in her seat and crumpled the note, stuffing it in her pocket where it would never see the light of day again. Who read these anyway? She hoped no gossipy member of student council decided to flip them open just to spy. If only the message were real. The afternoon recess in fifth grade when she told Carolyn she had feelings for Zack was the day her life turned into hell. She’d never hear the end of it. Shana turned as a chocolate rose landed on Carolyn’s desk. Oh yes, she’d gotten her back. Shana watched Carolyn’s face blanch as she read the heated words she’d scribbled down from her wildest imagination. If Shana’s letter read like a romance novel, than Carolyn’s read like erotica. Smiling, Shana finished her last proof. Maybe next year Carolyn would think twice about sending her a fake love letter with Zack’s initial. Another chocolate rose landed on her desk. Shana stiffened and shot Carolyn an evil glance. But her friend shook her head, eyes wide open. Maybe student council had made a mistake. She flipped the paper over, but her name was written on it in scribbly guy handwriting. The world stopped around her. Geometry class was no longer there. No one else existed. It was only her and the note. With shaky fingers, she opened the paper. Meet me after school at the oak tree. Aww! Cute story, Aubrie! I like how Zack sent her a rose too. I remember when they used to hand things out like that at school. Don't feel bad, I never got one either. Awww... I never got one either *sigh* cute story! Oh, sweet! They never did that at my high school, but if they had, I never would have gotten one. My school did carnations: red, pink, or white. I would have preferred chocolate. Cute story! That was sweet. And I'm in the club, too. I never received chocolates or anything.